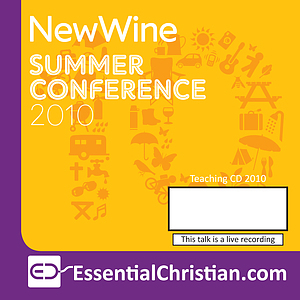 Secrets from the Asian Church: expansion and growth is a Julie Ma & Wonsuk Ma talk recorded at New Wine - 2010 on Church Growth available as CD format. There has been a radical global shift of Christianity in our generation; from the traditional 'West' to the other continents of Africa, South America and Asia. In this seminar we will explore the incredible growth and expansion of the church in Asia, looking at some of the characteristics that produce such dynamic churches. Drawing on real-life examples, and years of on-the-ground experience, this promises to be a stimulating seminar for all with a heart to learn from our Asian brothers and sisters. Be the first to review Secrets from the Asian Church: expansion and growth a talk by Julie Ma & Wonsuk Ma! Got a question? No problem! Just click here to ask us about Secrets from the Asian Church: expansion and growth a talk by Julie Ma & Wonsuk Ma.